This is the martyrdom date in 831 for the iconodule saint Euthymius of Sardis. Euthymius was just a child when Byzantium’s century-long internal conflict over image-veneration wrote St. Stephen the Younger into the pages of this here blog way back in 764. By the time Euthymius attained the bishopric of Sardis in the 780s, the Empress Irene was putting an end to her predecessors’ anti-icon campaigns, and Euthymius took part in the Second Council of Nicaea that made the new policy official. Posterity has a difficulty measuring by way of scanty and partisan sources the true state of sentiments surrounding icons during this period but it’s a sure thing that for an empire besieged both west and east, religious questions connected inextricably to geopolitical ones. Irene’s shift towards embracing what iconoclasts saw as graven images spanned about a quarter-century which also coincided with humiliating reverses for Constantinople. Irene’s son was thrashed by the Bulgars to whom her treasury was then obliged to submit tribute; then Irene had that very son deposed and blinded. Irene was toppled in her turn by her finance minister but Emperor Nikephoros too was trounced in battle and his skull wound up as the Bulgar Khan’s ceremonial goblet. For a prelate like Euthymius, this meant a return to the opposition benches. He’s reported to have been arrested and exiled twice in the ensuing years before finally being scourged to death in 824 at the behest of Leo’s successor; however, scholarship has better associated this event with the more vigorous anti-icon persecutions of Theophilus after 829. In 831, Arab forces devastated Cappadocia and also captured Panormos in Byzantine Sicily. In light of these reverses Theophilos discovered that an anti-iconoclast manifesto predicting the emperor’s imminent death had been circulated — so again the link between prestige abroad, sedition within, and those damned icons. Theophilus attributed the pamphlet to a pro-icon bishop named Methodius, who was a friend of Euthymius, and had both men arrested. The History of Byzantium podcast covers this period in episode 103. * Theoctista was an actual iconophile. Her house in Constantinople later became the Monastery of Gastria — and post-1453, a mosque. 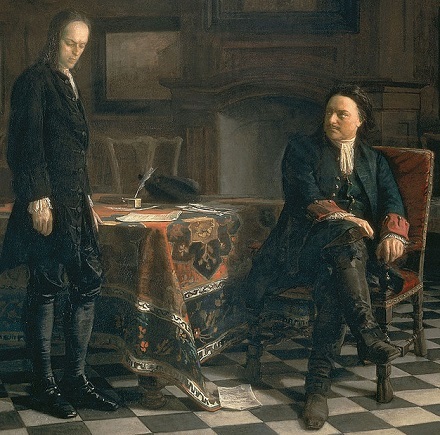 On this date in 1718,* Peter the Great’s hand-picked court condemned his son and onetime heir apparent Tsarevich Alexei to death for plotting treason. Probably no single figure more strikingly underscored Peter’s violent rupture of the old Russia than Alexei: “timid, secretive and lacking in self-confidence,” he was Peter’s opposite in nearly every particular — his nemesis, literally from birth. The product of Peter’s unsatisfactory first dynastic marriage to a conservative boyar princess, Alexei got abandoned along with his mother Eudoxia Lopukhina when Peter went on his years-long jag through western Europe. Peter eventually forced the tsaritsa into a convent so he could take up with the ambitious emigre beauty Anna Mons, but the firstborn son was not so easily discarded. Often malignantly ignored in his youth, Alexei spent his teen years being browbeaten by Peter who rightly despaired of ever making the boy into a king who could carry Peter’s legacy. Where the father was preternaturally energetic, the son was feeble and reticent; Peter’s irritated letters to Alexei frequently complain of his laziness. (“I am incapable of exertion,” Alexei whinged.) Where the father had a curious mind for the Age of Enlightenment, the son was a dreamer who preferred the mysteries of the Orthodox religion. The boy showed little interest in politics or statecraft, but his position as the firstborn son meant that politics and statecraft were interested in him. Alexei just wanted to go to church and fool around with his Finnish mistress; he feigned or induced illness to avoid the instructional tasks his father appointed him, and once even tried to shoot himself in the hand to duck work. The father called on all of his legendary severity fruitlessly trying to twist this malformed sapling into a sovereign when the boy’s every characteristic seemed to reproach Peter’s mission of a new and reborn Russia. “How often have I scolded you for this, and not merely scolded but beaten you,” Peter wrote the boy when the latest assignment was not accomplished to his satisfaction. “Nothing has succeeded, nothing is any use, all is to no purpose, all is words spoken to the wind, and you want to do nothing but sit at home and enjoy yourself.” Start with scolding, proceed to beating — Peter’s philosophy of management as well as child-rearing. 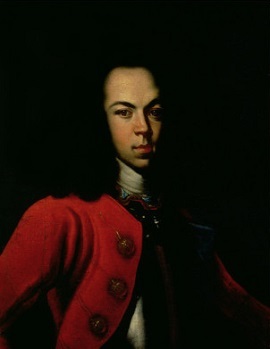 Ever more fearful of his hated father, Alexei in 1716 gave Peter one final and greatest embarrassment by spurning his father’s last ultimatum to join the Russian army on campaign. Instead, the tsarevich fled to the protection of the Holy Roman Emperor Charles VI. Charles put him up in Naples for a year until Peter’s courtier Count Tolstoy** finally persuaded Alexei to return. Alexei hoped he had arranged to get out of the royal-succession game and live as a private citizen, but where princes of the blood are concerned this option is more easily conceived than accomplished. Peter well knew that the Orthodox clergy and many aristocrats awaited his death as their opportunity to roll back his reforms; the pious Alexei was inevitably a focus of these hopes and the boy embraced rather than shunned the association. Moreover, the twerp had made Peter look the fool before all of Europe with his running-away act. Instead, the prince — whose return to Russia under the circumstances really was quite naive — found himself faced with a cruel inquisition. Peter the Great easily possessed the iron resolution that the ancient Stoic lacked. The tsar had learned seamanship in his youth by working in European dockyards; had learned soldiery by enrolling himself in the ranks and working his way up from drummer-boy. In his childhood he had seen the palace guard run amok in the Kremlin slaughtering his own family, bided his time until he could topple the power of his half-sister and take Russia in hand, and then wrought on those mutinous soldiers a terrible revenge. And he had set for his reign a self-consciously world-historic mission, to force an unwilling nation into the European family. This enterprise of relentless, exhausting hubris the tsar applied everywhere from the cut of his noblemen’s facial hair to the whole-cloth creation of the Westward-facing capital city St. Petersburg. Just so did Peter address himself to his truculent son. “I will deprive you of the succession, as one may cut off a useless member,” he threatened in a come-to-Jesus letter of 1715, when Alexei was already 25 years old. Do not fancy that, because I have no other child but you, I only write this to terrify you. I will certainly put it in execution if it please God; for whereas I do not spare my own life for my country and the welfare of my people, why should I spare you who do not render yourself worthy of either? I would rather choose to transmit them to a worthy stranger than to my own unworthy son. Peter, to borrow a phrase redolent in Russian historiography, mourned not the cracked eggs that made his omelette. And sometime after Alexei’s flight to Naples, Peter had clearly come to the understanding that for the good of his nation that unworthy son must indeed be spattered. This episode places Peter in a monstrous light, just as would Marcus Aurelius appear to us had he contrived to murder the future tyrant Commodus when the latter was a mere callow youth. We do not have the luxury of seeing the path not taken, but it ought be said in the towering tsar’s defense that his disdain for the crown prince’s ability is difficult not to share. Alexei’s character stacks flaw upon flaw; no doubt Peter’s upbringing, by turns distant and brutal, was stamped upon it. Let the father bear that failure, but it does not relieve the sovereign’s choice: was he to confide his country and his legacy to the hands of this goblin? Was it even tolerable to leave this firstborn cooling his heels in a monastery, waiting for Peter’s death to cast off cowl and abdication and be acclaimed king by Old Russia? Peter’s own youth, when he was part of an unresolved dynastic rivalry awkwardly sharing power, had been mired in plots and counterplots. Now, he could scarcely help but suspect that Alexei was also a piece of some conspiracy intending to undo Peter — whether in life or in death. He forced the son to name his confidantes, then put those confidantes to torture and followed their accusations. In March of 1718, several men were broken on the wheel in Red Square; Alexei’s mother, long ago exiled to a convent, was menaced through her brother who was beheaded and her lover who was publicly impaled. Others got off with whippings, brandings, beatings, exile. Peter empowered a very reluctant secular court to examine Alexei as a traitor without deference to his royal person. In a word, this meant torture — and on June 19, the frail Alexei was lashed 25 times with the knout, a terrible whip reinforced with metal rings that flayed a man’s back into carrion-meat and could even break the spine. Alexei managed to endure it, so on June 24 his suppurating wounds were reopened with another 15 strokes of the cruel scourge. Under this inhuman torment, Alexei admitted wishing his father’s death — not much of an admission since he had already said as much to dad in the weeks before. But this gave his magistrates enough to condemn the tsarevich to death later that same night, for compassing the death of the king. The reality was that Alexei, vapid and indolent, had only one design on the death of his father: to await it with hope. What we do not quite know is whether or how this sentence was actually effected. Peter wavered and did not sign the sentence — but as contemporaries saw it, God signed it. On the morning of June 26, Peter and a number of other court dignitaries went to Peter and Paul Fortress. The fortress’s logs do not specify whether this was yet another round of torture for Alexei; stories would later circulate that Peter or a subaltern murdered the boy here by crudely beating him to death or privately beheading him, sparing the realm the spectacle of the broken crown prince mounting the scaffold. But the official story, that an already-faltering Alexei begged Peter’s forgiveness as he succumbed to the shock notice of his condemnation, could easily be true: 40 strokes of the knout were enough to take the life of a much firmer constitution than Alexei’s. 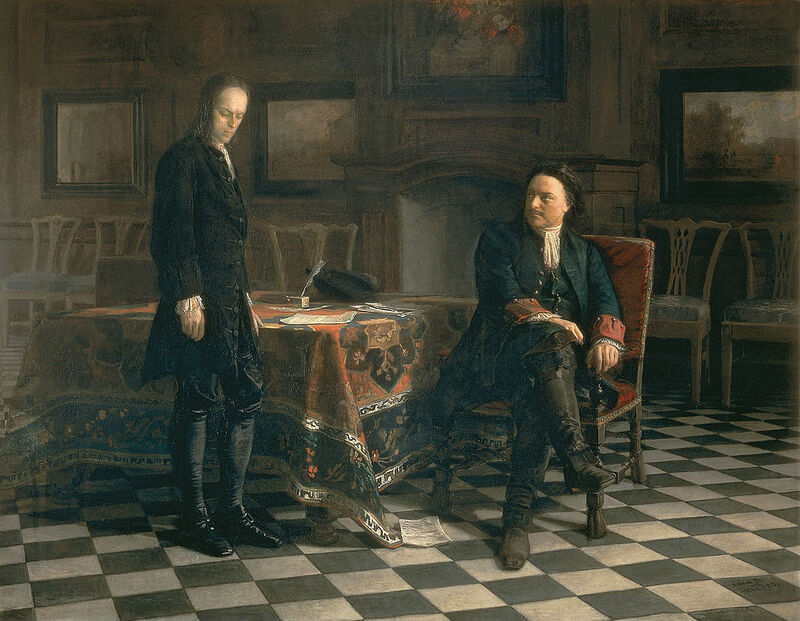 By any measure, Peter authored the death of his son under the pall of execution, if not its literal fact — and for all the instances of royal-on-royal violence supplied by the annals, this filicide is nearly unique: Peter the Great, Emperor of All Russia, tortured his disappointing son to death. Peter the Great died in 1725 at age 52 — according to legend, catching his death by forging into the freezing Finnish Gulf to rescue some drowning soldiers. (“I do not spare my own life for my country and the welfare of my people …”) Peter’s wives had borne him eight legitimate sons over the years, but Alexander, Pavel, Peter, another Pavel, another Peter, yet another Pavel, and yet another Peter had all died in early childhood. This was to be (after the brief reign later in the 1720s of Alexei’s sickly son Peter II) the end of the direct male line of Romanovs. Instead, Peter was succeeded by his remarkable wife Catherine, by origin a Latvian peasant — and the 18th century would be dominated by female monarchs, culminating with Catherine the Great. * It was June 24 by the Julian calendar still in use in Russia at that time. By the modern Gregorian calendar, Alexei Petrovich was condemned on July 5, and died on July 7. ** Ancestor of the novelist Leo Tolstoy, a man who did not like executions.